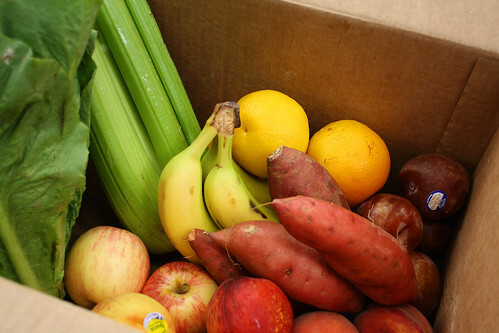 last week we received a trial organic produce box. 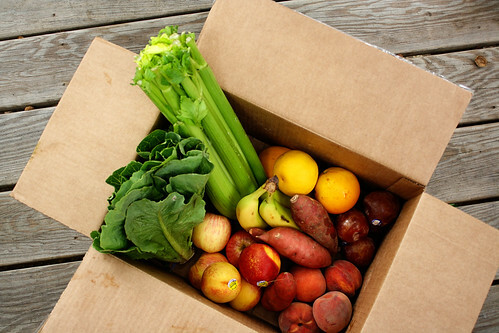 not quite a csa, more of an organic produce delivery service. i'm not sure if we will be continuing on a regular basis, or just ordering here and there, but it was a plentiful shipment. not bad, eh? i'd like to price it out to see what our total would be if we would have bought the same organic produce at, say, whole foods. it is nice to be forced to be creative with food. i found myself planning the menu around what we had in the fridge. i'll keep you posted on our decision. it may be nice to continue through the colder months with root vegetables and the like. + in other news, i am cutting out early this week to head off on a camping trip. will have a recipe posted in the morning, you won't want to miss it. enjoy your first autumn weekend!